Vancouver has had summer weather since April! That’s pretty much unheard of in the rainy Pacific Northwest. Climate change is real, y’alls. 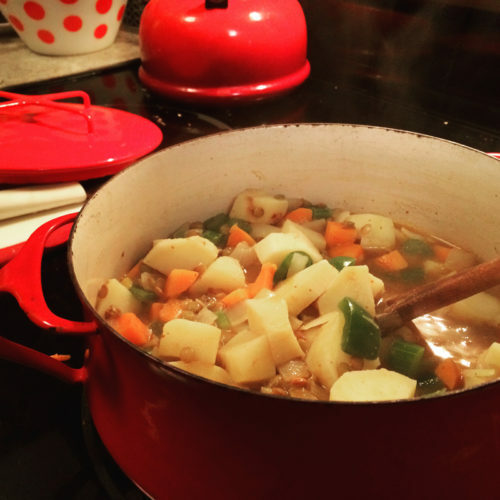 Right now, though, we’re going through a cloudy patch and I’m choosing to welcome it with a flavourful stew that’s inexpensive to make (cupboard ingredients to the rescue) and a cinch to whip up on a weeknight. We eat a lot of lentils in this house and this meal is a keeper. I love Japanese sweet potatoes (they’re white, not bright orange, and a bit dryer in texture) and I used them here. But if you have orange ones lying around, by all means, use those vibrant vitamin-packed taters. The sweetness is a nice contrast to the Mexican spices. It’s not the most picturesque dish, but it’s so delicious! Plus, topped with salsa, yogurt and green onions and it becomes much more attractive. I haven’t tried freezing this stew, but I will be doing just that as part of my freezer stock up for Foot Operation 2016 coming up in a few weeks. If you have any other great healthy freezer recipes, send them my way! In a large stock pot, heat oil over medium heat. Add onion, carrot, and celery and let everything mingle and sweat. In go the spices along with the green pepper, sweet potato and lentils, giving everything a good stir. Pour in stock, cover and bring to a boil. Turn heat down to a simmer, stirring things occasionally for 30-40 minutes or until tender and much of the liquid has been absorbed. Serve in bowls and top with salsa, sour cream and a sprinkle of green onion. Serves 3-4. I like the sound of a greek lentil soup packed with garlic, Joanne! I’m staying away from red meat at the moment, but I’m sure I could find some ground turkey as a good chili substitute! Thanks!! 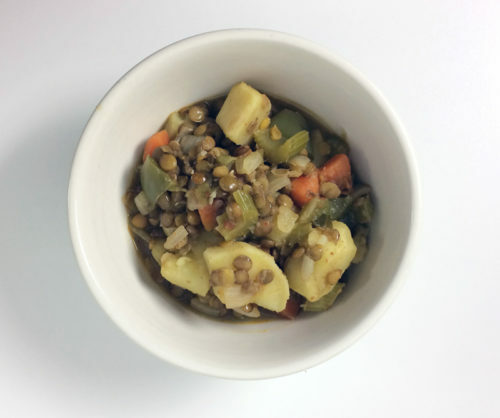 Here’s the basic Greek lentil soup recipe, but feel free to adjust and add as much garlic as you want. This looks so tasty! I’ll have to try it soon. Here is the Weather Changing In day time rise the Temperature approx 45 degree Celcious but in night temperature slightly down. I will try this one coming Sunday nice one.. Thanks for sharing your recipe with us.. 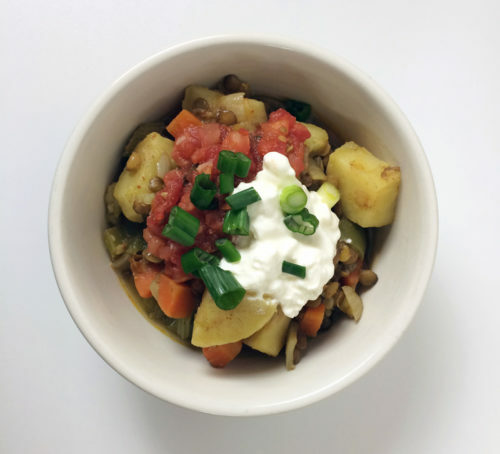 I just made this for dinner tonight (after picking up the needed sweet potato a couple weeks ago – only to have the June-uary weather turn hot). Delicious. I was out of green onion, but had cilantro so that was our green garnish. Mexican Spiced lentils with sweet potatoes looks awesome. I will definitely going to try it soon. Thanks for the recipe. It’s pouring, and I am finally making this right NOW. Sasha, if they are unblemished and younger (smaller? ), then I don’t peel the skin – I just give them a bit of a scrub. I have no issues with the skin, lots of nutrients I imagine. 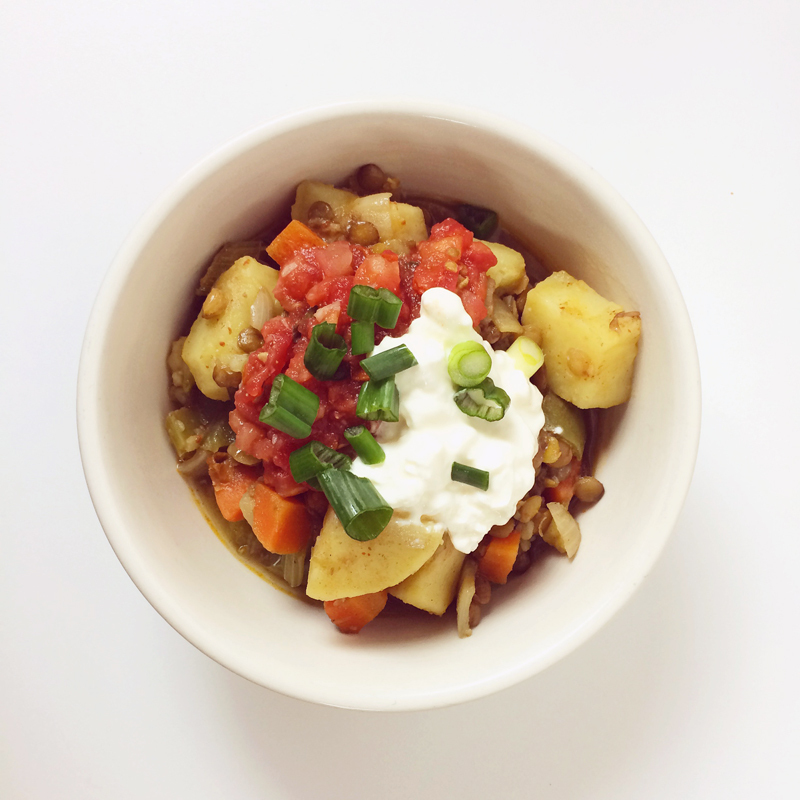 Love this recipe so much and make it so often that I planted green onions! So good. Lisa, so glad to hear it! !